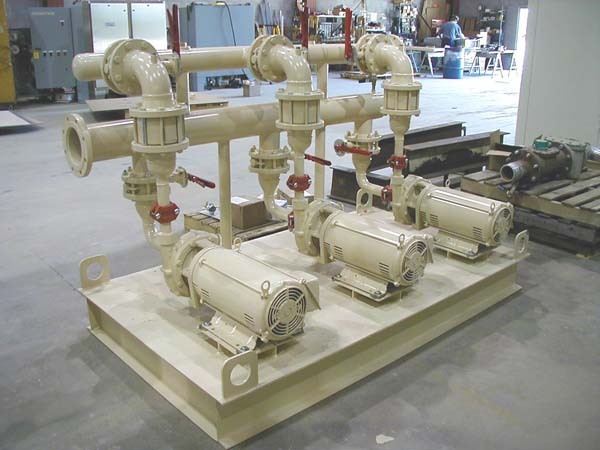 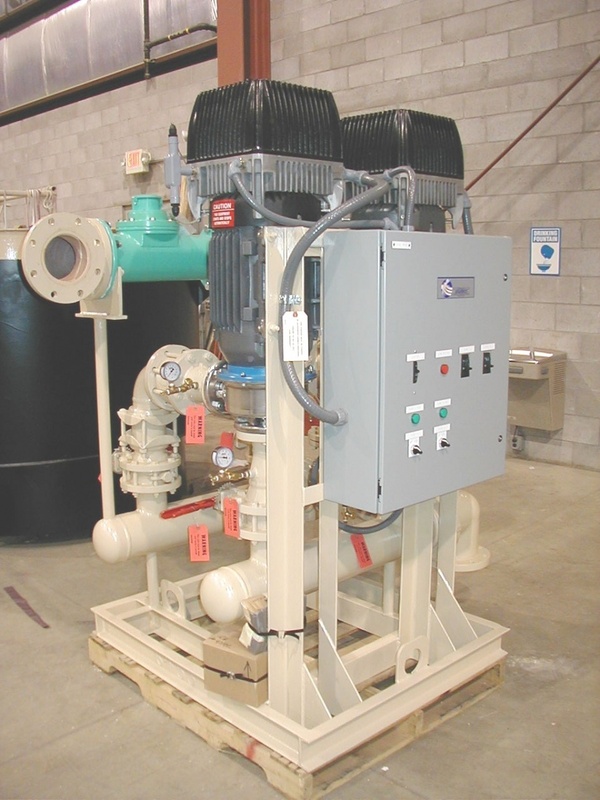 Whether you are filling a tank or trying to maintain pressure, the Skid Pak water booster pump station is custom designed and factory tested to meet your unique applications. 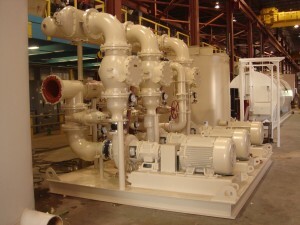 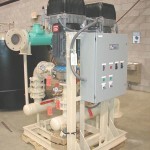 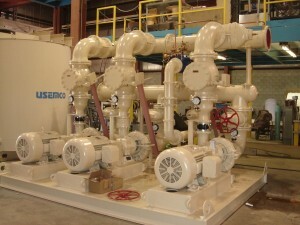 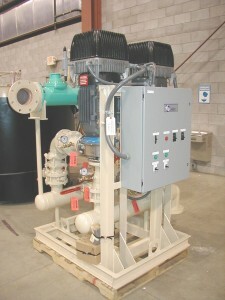 Pump selections include end suction; split case, multi-stage or turbines. 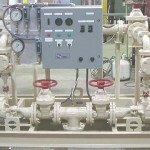 Motor controls include VFD’s, reduced voltage solid state starters, or conventional across the line. 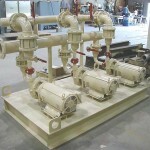 Valve selections are varied and determined by the design conditions. 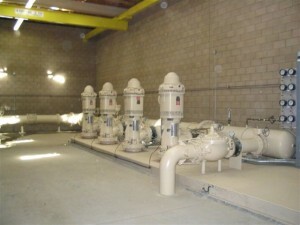 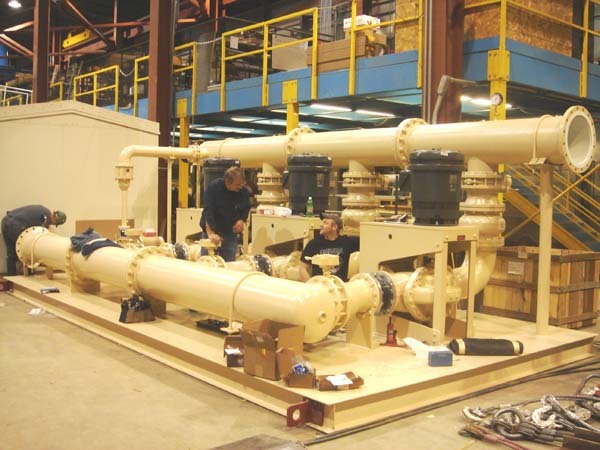 Flow metering is available utilizing turbine, propeller, or magnetic models. 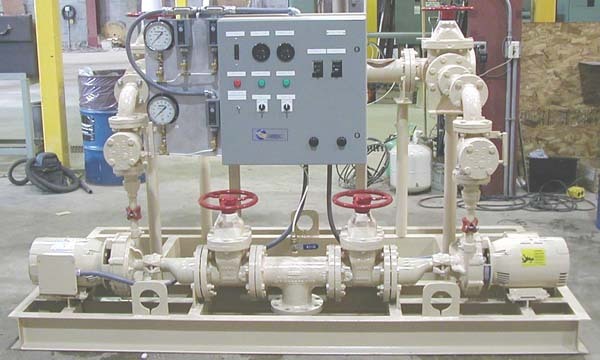 Control systems may utilize telemetry, tank level controls, pressure switches, or PLC’s with pressure transmitters and /or flow sensors. 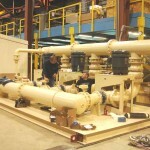 Piping exterior is epoxy coated with a fusion-bonded epoxy interior.